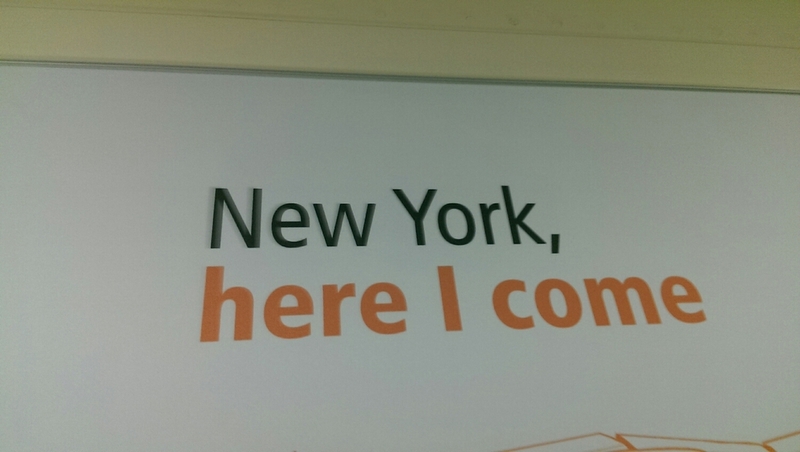 Today, this morning, I am getting on a plane from Amsterdam to New York. My ability to do so is the culmination of many, many months of hard work. My life today, here in this moment, looks nothing like my life a mere few months ago. In fact, I look nothing like I did a mere few months ago. Over and over again during these last months I would open my eyes each morning and frankly assess where I was on that particular day versus where I wanted to be. Some days it seemed I was moving further away from my goals instead of towards them. Some days I was getting in my own way of achieving where I wanted to be. It seemed, at times, that what I wanted didn't exist, wasn't possible, or perhaps was just not realistic. Self-sabotage in the pursuit of goals is all too common because change is scary. Nevertheless, I marched on with stubborn determination. No one can tell me what I can and cannot achieve. No one can set arbitrary limits that I should follow. What is 'normal' or 'right' or 'easy.' I pushed past self-doubt. I pushed past that feeling the idea of giving up. And when you push past those things and find the inner strength as well as outer support from those who love you and cheer you on, then amazing things can and do happen. You begin to operate from a positive place instead of a negative one. You realize that if you do not like the hand dealt to you, you can shuffle the deck and deal again as many times as you like until it turns out right. The clock is not an obstacle, it's a tool. There are 24 usable hours in everyday. Geography does not get in our way, it enables us. Every possible stumbling block can be turned into a tool or a lesson or an opportunity to shine. Life is about taking what is presented to you and shaping those circumstances into what you want them to look like. In November, I didn't like what my life looked like. My apartment, my job, my city of residence, my weight, my hair, my clothes, the lack of writing in my life, and on and on. Today, I can honestly say I love every one of those things and more. Some things I changed, others stayed the same. An attitude adjustment plus changing how I approach my day has made it all that much better, simpler, enjoyable, and easier. I am shaping my life into the one I want. I am experiencing my own personal springtime. My senses are open and so is my heart.